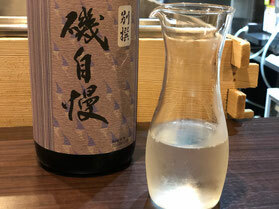 IzaIzakaya (Japanese style casual bar) is essential for Japanese life. You might have already known about Sushi and Ramen. 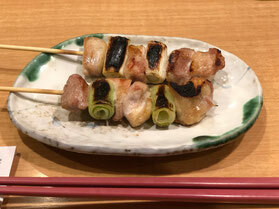 However, if you travel in Japan , you should go to an Izakaya. 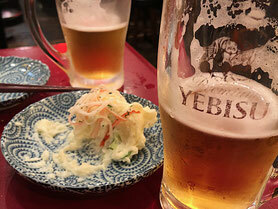 Every region has its own speciality beer, even in Tokyo. Drink and taste local dishes and feel the true Japanese atmosphere. This tour is a great way to delve into Japanese culinary culture. Meet at the main entrance of "MARUI" department store Ueno branch. Under 20-year-old guests are not able to drink alcohol by Japanese law. So there is a possibility of cancelation of the tour. In this case you will be full refund the tour fee. This tour starts at 6:00 pm. so please do not be late. If you are late, you are not able to join the tour, and you won't be refunded. We will inform you 3days before the tour , If the tour has not enough participants.